originally published in Unidentified Funny Objects 3. She stood up on her tip-toes, extending a slightly wilted white daisy up to Romulus, her whole body pointed and straight in the effort of reaching something that was entirely beyond her reach. For his part Romulus knelt down and took the flower and gave her a sad smile and watched her run back across the street. And even though he had another line of news, it was sad, so he called it quits for the day and went home. He put the daisy in a jar of water and ate his cake from the bakery (yes, the bakery, not the cakery) and went to sleep. Tragically born with a miscalibrated sense of humor, Krystal Claxton lived in nine US states before the age of thirteen. The combination of the two has left her with an oscillating accent and a habit of laughing at things that aren’t funny. She currently lives in Georgia with her long-suffering spouse, a dog who thinks she’s a cat, and a number of children that is subject to change. She enjoys breaking Heinlein’s Rules, getting distracted by Dragon Con, and feverishly researching whichever random topic has just piqued her interest. Keep up with her at krystalclaxton.com and on twitter @krystalclaxton. Her short story “Planar Ghosts” was recently released in Writers of the Future vol 31. I drove, I listened, I grinned. The end. I made jelly toast halfway through the episode. I loved the whimsical light voice, and how it repeatedly turned expectations on their head, the note about "were you expecting that she was a woman? If she were a woman I would have said so" in particular. I laughed out loud many times as I was trimming trees, and enjoyed the lighthearted end of the war. If I'd had my critical hat on, I might say that the coincidence of the girl happening to present the three flowers that happened to be the sign of peaceful negotiations was a bit of a stretch, but I was enjoying it way too much to worry overmuch about such things. As always, PodCastle is a bastion of openness and acceptance. This story has taken a critical step acknowledging the existence and validity of Pumpkin drinks. It give me hope that this autumn, Pumpkin Beers will be appreciated for who they are. Pumpkin shakes are another delicious source of pumpkiny liquids. Most importantly though, where can I get a T-shirt of that tired and adorably dishevelled flower girl? When I heard the description of how she had been smudged with soot by the sweep brushing past and so on, I couldn't help giving a little, "Ahhhhhh..."
That was delightful! 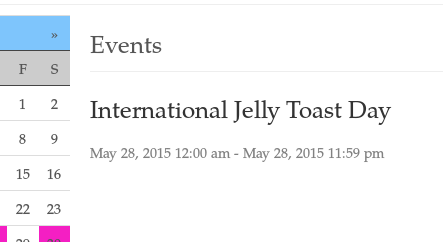 I am also going to mark my calendar for International Jelly Toast Day! I've always been a fan of toast...and M.K. Hobson hosting. And Graeme Dunlop narrating. So, this was an all around home run for me. I am glad I was at home in the garden, not on the bus or walking down the road. The narrator really drew me in to this story. Welcome SJJ! I actually WAS walking down the road while I was listening to this! I loved this story as well. 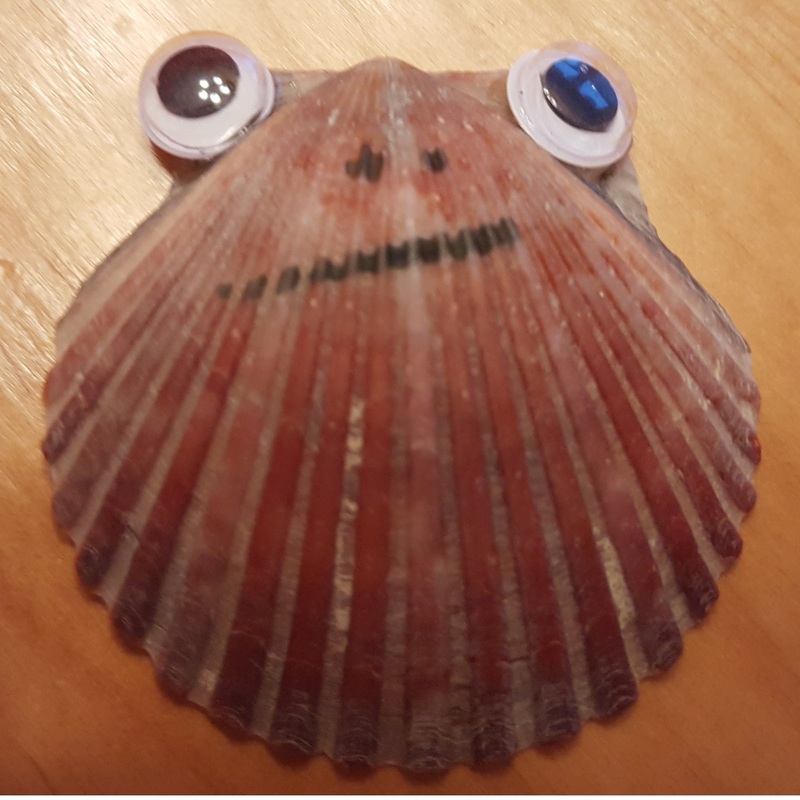 I was walking down a main road with a big, goofy grin for the full length of the story, and a few laugh out loud moments. I thought Graeme's narration was perfect for the story too, capturing both the sweetness of the story and the slightly grumpy narrator's voice perfectly. And plus one for the creation of international jelly toast day (although here in Britain, it would be international jam toast day). In the US, anyway, jam is distinct from jelly, but both are also present. Jelly is clear and gelatinous while jam tends to be more liquid and have chunks of fruit in it. And then there's preserves and marmalade and maybe some others, I think they're mostly distinguished by the amount of solids in the mixture. My personal favorite is orange marmalade, but I am a huge fan of various kinds of fruit spread. Hmm... Runny jam? Not sure I like the sound of that. Are you sure they boil it long enough? All the right pectins and so forth? Around here, Jelly means the wobbly fruit dessert. I think you guys call that Jell-o or something like that, right? I'm not sure "runny" is the right word, I guess. But you can turn a jar of jelly over and expect the contents to mostly stay inside the jar because they are gelatinous, but if you tipped a jam jar over it would all fall out and make a mess. Jell-O is a brand name of a gelatin dessert, it is not unlike jelly in it's consistency, but its presentation and flavor are somewhat different--i.e. you usually buy it in a powdered mix and make a big homemade bowl of it and scoop out your portion rather than buying a storebought jar that you spread on toast. It's one of those things where, much like Kleenex or Roller Blades, the brand name has become the general use term for it, so if you buy a different brand of it the box will say "gelatin dessert" or something, but most people will still refer to it as "Jell-O" even though it's technically not. a) apologies for slightly derailing the thread and b) like SpareInch, I thought that what we in Britain called jam, is called jelly in the US. It appears that (as is so often the case), It's More Complicated Than That. That just means we can be more inclusive for International Jelly Toast Day . @Raj, don't worry about "derailing" the thread We love that kind of detour here. JAM: Crushed fruit cooked with sugar as the primary preservative. The fruit ultimately ends up soft and mushy and loses its shape (although there might be some large bits in there still). Spreads smoothly on toast. JELLY: Exactly like jam, except you filter out the fruit solids before adding the sugar so it ends up see-through. Basically, it's jam made just from the fruit's juice. PRESERVES: It can be an umbrella term for all sorts of fruit spreads, but sometimes it specifically refers to chunks of fruit preserved in juice. Tends to be chunkier and less spreadable than jam. CONSERVES: Any jam made from two or more types of fruit. FRUIT BUTTERS (such as apple butter): They don't actually involve butter. The key difference is instead of gelling the fruit by adding sugar/pectin, they're made by cooking the fruit until it's extremely concentrated. Think really thick applesauce. MARMALADES: A jelly with pieces of citrus peel in it. COMPOTES: the key here is the fruit is cooked very, very slowly, so it's extremely smooth, like a puree. What about Curd like Lemon Curd? Or is that something totally different?